Mr Serwanja is a news reporter and anchor with NTV Uganda with a strong bias towards investigative reporting, political reporting and news analysis. He has worked with NTV Uganda for three years now. 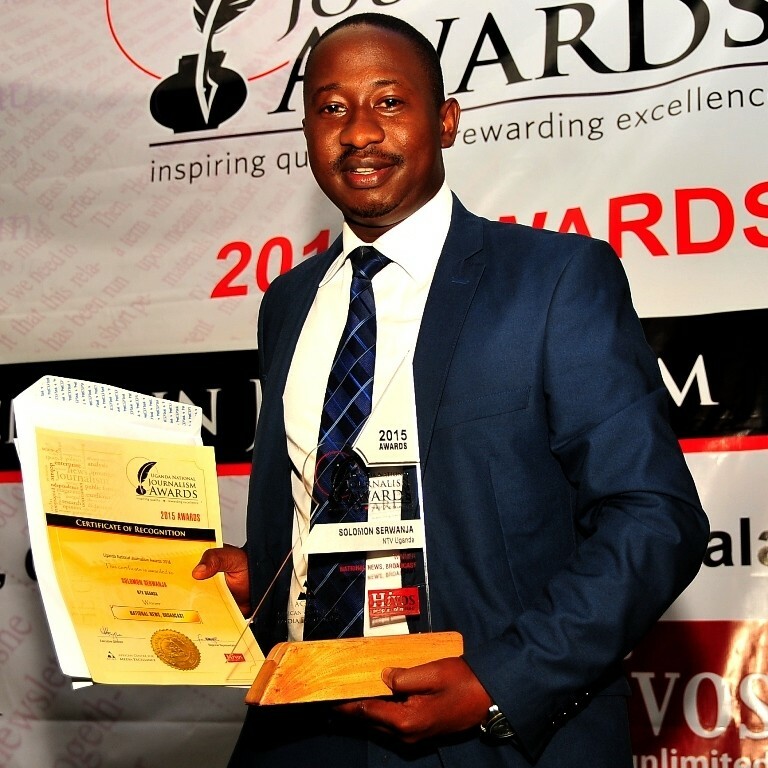 Prior to joining NTV Uganda, Serwanja was a reporter at Uganda Broadcasting Corporation Television. He also did a small stint as a freelance reporter with New Vision. His winning story is about the Mogas Uganda Limited fuel reserve station located in the heart of a residential area, just opposite Kyambogo University, Kampala. It explores the possible risks and dangers of situating a fuel reserve worth four million liters in the middle of a large population. The story also investigates the authorities behind the sanctioning of dangerous facilities such as these in residential areas and questions government and city policies on public safety. Solomon Serwanja’s story was debated in the Parliament of Uganda. It resulted in the creation of a Ministry of Energy-sanctioned committee to investigate planning and location of fuel reserves throughout the country.